Isolated limb infusion (ILI) is a procedure which delivers high doses of chemotherapy to an affected arm or leg but not the rest of the body is practised by very few surgeons.It s a new option in melanoma affecting limbs and surgical oncologist Cristina O’Donoghue is one of the very few who practices this procedure in cases of advanced melanoma or sarcoma. “Amputation has been the only option for many with advanced melanoma or sarcoma,” says O’Donoghue. “But being able to temporarily isolate the flow of blood to and from the limb means very powerful chemotherapy is now an option.” O’Donoghue’s first ILI patient at Rush was a limousine driver who would have been unable to work without his right leg and had already failed two previous sarcoma surgeries and radiation. The choice between saving one’s limb or one’s life may seem obvious. However, surgical oncologist Cristina O’Donoghue, MD, MPH, knows the decision is emotionally wrenching for patients with advanced melanoma or sarcoma in a limb that likely would be fatal if allowed to metastasize. Chemotherapy drugs travel through the bloodstream killing rapidly growing cells, a feature of cancer cells. But these drugs cannot distinguish cancer cells from rapidly growing healthy cells, like those that make hair and blood, or are found in the reproductive system and the digestive tract. Chemotherapy drugs are usually not as effective against melanomas as they are against other types of cancers, requiring more highly concentrated dosages and thus more severe side effects when delivered in the usual manner throughout the body. “But by isolating the arm or leg, we can deliver powerful doses to the where the cancer is and spare the rest of the body,” she. Her first ILI patient at Rush was a limousine driver who would have been unable to work without both legs and already had undergone two previous treatments for sarcoma. During the procedure, blood circulation to the limb is stopped with a tourniquet, and heated chemotherapy drugs are manually infused into the limb using a series of catheters while the patient is under a general anesthetic. After 30 minutes, the limb is flushed clear of the chemo with a saline solution, the tourniquet is removed and circulation is restored. ILI is actually a more advanced version of isolated limb perfusion, a regionalized chemotherapy technique developed in the 1950s that involves the more invasive process of bypassing the flow of blood to the limb via a major artery. Performing the chemo infusion via catheters closer to the tumor, instead of perfusion directly into a major artery, means ILI can be performed again should the cancer reappear. “Isolated limb perfusion remains a very viable option for many patients, but the minimally invasive nature of ILI can provide even more life and limb saving options. Major surgery should always be a last option,” O’Donoghue says. ILI is an important addition to Rush’s “armamentarium” of treatments for melanoma and sarcoma, two aggressive types of soft tissue cancer. Rush is one of the top centers in Illinois for the treatment of sarcoma, and with the addition of ILI, Rush is a leader in melanoma treatment in Chicago as well. In 2014, an estimated 1.2 million Americans were living with melanoma, the deadliest skin cancer, O’Donoghue says. Melanoma is the third most common cancer among women ages 20 to 39 and the second most common cancer in men ages 20 to 39. Both sarcoma and melanoma are often fatal because they spread aggressively, but are curable when caught early. According to the American Cancer Society, melanoma accounts for fewer than five percent of all skin cancer cases but is the leading cause of death from skin cancer. 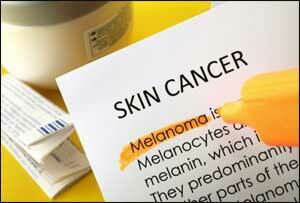 In addition, the number of new cases of melanoma has been rising steadily. Of 163 patients who underwent ILI from 2007 to 2016, the median hospital stay was only five days, and 88 percent had no worse effects than redness and swelling in the treated limb. On average, melanoma patients who responded to the ILI procedure lived 56 months longer than non-responders. ILI has demonstrated response rates of between 54 and 84% for melanoma. Besides ILI, other treatments for with advanced skin cancer including non-metastasized melanomas and sarcomas at Rush include injections of T-Vec – a genetically modified cancer-killing virus – immunotherapies and other surgical techniques.